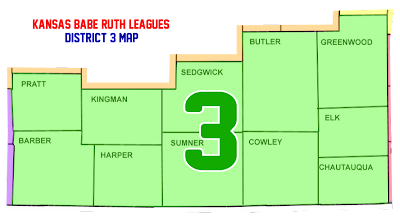 Welcome to District 3 of Kansas Babe Ruth Leagues! Here is where we will post information, updates and stuff we will need for District 3 here in Kansas. to help share District 3 specific information to District 3 teams, coaches, managers, umpires and leagues. Click here for information about Babe Ruth Leagues National Headquarters. Most general information about Kansas Babe Ruth should be found at Kansas Babe Ruth Leagues.